BAFA provides a year-round calendar of events including regional and small-scale discussion based forums, topic-specific seminars and networking events, the annual BAFA Conference and our specialist conference for students and recent graduates, ‘A Festival Career’. These provide opportunities for members to meet and share ideas with each other and with industry experts. All BAFA events are discounted for members. BAFA members benefit from being part of the UK’s most established festival network, including individual online presence on the BAFA website. A twice yearly press release sent to specialist and national media gives members the opportunity to be showcased alongside the whole network. 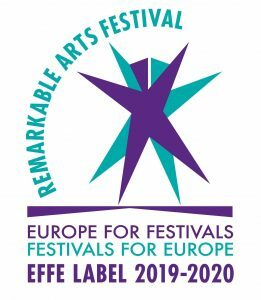 Through BAFA’s links to other networks both in the UK and abroad, such as BAFA’s role as the UK hub for the prestigious EFFE programme (Europe for Festivals, Festivals for Europe), BAFA members are part of a larger family of festivals. BAFA members have access to dedicated members’ resources including contacts at other festivals, press contacts, job opportunities and links to other useful resources. BAFA backs campaigns for the arts and culture sector and undertakes research – the next iteration of its flagship research programme Festivals Mean Business, will collect core data on the festivals sector across UK, with the aim of representing the sector better to government, funders and stakeholders, and to identify priorities for BAFA’s lobbying and advocacy programme. In turn, this will raise the profile of the whole festivals sector, including highlighting its work in developing the UK’s creative economy, supporting community cohesion and development, and improving outcomes for health, wellbeing and social justice. Festivals Mean Business 4 will be rolled out in 2019. BAFA works with partners and colleagues to represent festivals’ interests, to develop and share resources where possible and to work in partnership on joint issues. BAFA is a member of the Creative Industries Federation and works closely with fellow arts associations including the Association of British Orchestras, Association of Festival Organisers, Making Music, Make Music Day UK and the UK Science Festivals Network. Insurance: Receive a 20% discount on festival insurance with Graham Sykes; typically this saving will easily cover the cost of your annual BAFA subscription. Coaching and Mentoring: Take the Current partners with BAFA to provide discounted mentoring and coaching for organisations with under £1m turnover and for individuals funding their own development: groups of 3 sessions (8% discount) and 6 sessions (12% discount). Louise Emerson will also provide an extended one-off session for BAFA members with 90 minutes for the price of 60 minutes. Digital Experience: Free initial marketing and digital experience audit with recommendations from Project Simply, a festival and event specialist agency supporting digital design and development. INDIGO LTD is a boutique consultancy, specialising in helping the arts, cultural and heritage sectors. Indigo works with festivals to help them increase their IMPACT and INCOME through more effective marketing and fundraising. BAFA members receive a free 30 minute diagnostic session with Indigo by phone to help assess their strengths in audience loyalty, marketing or fundraising. BAFA members receive a 20% discount on The Audience Agency’s Audience Finder enhancements, and 15% off all Area Profile and Custom Audience reports, supporting data collection and analysis for marketing and audience development. BAFA is a Sector Partner with Arts Fundraising and Philanthropy, who work to transform arts organisations’ fundraising knowledge, skills and levels of success. BAFA members receive concessionary rate places on Face-to-Face training courses. TicketSource is an easy-to-use online ticket sales system, perfect for festivals. Exclusive to BAFA, TicketSource offer their charity discount to all online booking fees, whether you’re a registered charity or not, plus free account management, free ticket scanner hire, and a free telephone box office service to handle your bookings by phone. Citizen Ticket is a UK based ethical platform on a mission to put the trust back into ticketing. The service is free for organisers to use, with just a simple booking fee – discounted to 8% for BAFA members (normally 10%) – charged to customers. Features include access to a digital box office which can be set up anywhere, a ticket scanning app, automatic refunds and referral rewards. Future Ticketing is a leading digital ticketing business providing cloud-based box office solutions to organisations of any size. Its simple to use software offers remote or hands-on ticketing capability, from manned box office solutions to online paperless ones to suit your event. Future Ticketing has teamed up with BAFA to offer festivals free membership of BAFA should they opt to switch to them. We’re stronger together – please join us! In addition, BAFA offers university membership and associate membership. University memberships are £500, and include 10 free tickets for A Festival Career, plus participation in specialist online forums for events lecturers, access to potential partners for collaborative projects and research, and direct access to a range of industry professionals. Please contact us for more information about associate membership, and how your organisation can benefit from being part of BAFA.